death has this marvelous way of always being some major turning point, for any one person, at any one point of time. put simply, it either makes you, or breaks you, or at best, one would even get to have the best of both worlds in some mind boggling weird life arrangement. before one knows it, one might probably be singing "oh what a night" out loud. there is always, somehow, a walk down memory lane with each inevitable occurrence. it never fails to shake and wake me up to life's fragility, crappy reality, and nonsensically painful obscurity. 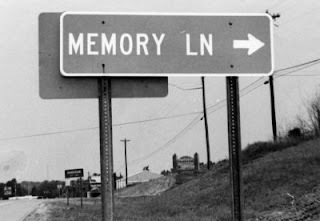 that walk down memory lane ain't no pretty sight, ever. the best part??? it is, most unfortunately, a one way street. not to forget, a bloody long one at that.